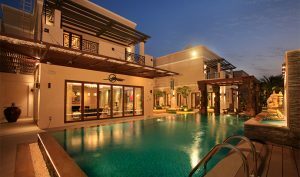 For some time now, celebrity have been gravitating towards the luxurious villas nestled in the heart of Dubai. Among these investors are an elite group of Bollywood stars who have dazzled audiences with their stunning performances over the years. 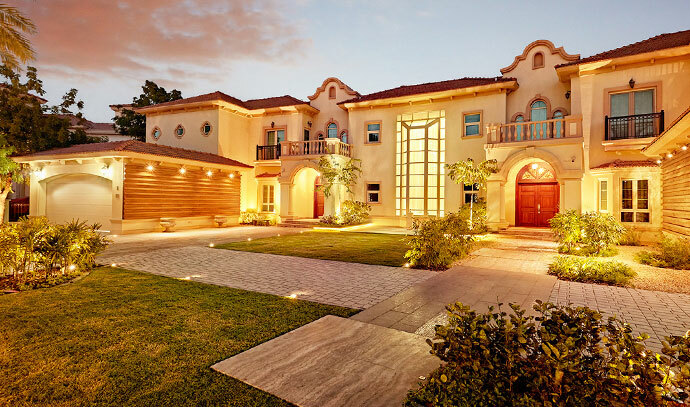 Once the cameras are off, and the movie set has wrapped, these Bollywood stars head to their Dubai villas to enjoy some well-deserved rest and relaxation in their personal sanctuary. So let’s take a look at who’s living among the Bollywood celebrity elite in Dubai. For some of the most famous Bollywood stars, Dubai offers a corner of the world where they can escape their celebrity in the lap of luxury, spending time with their family and friends. 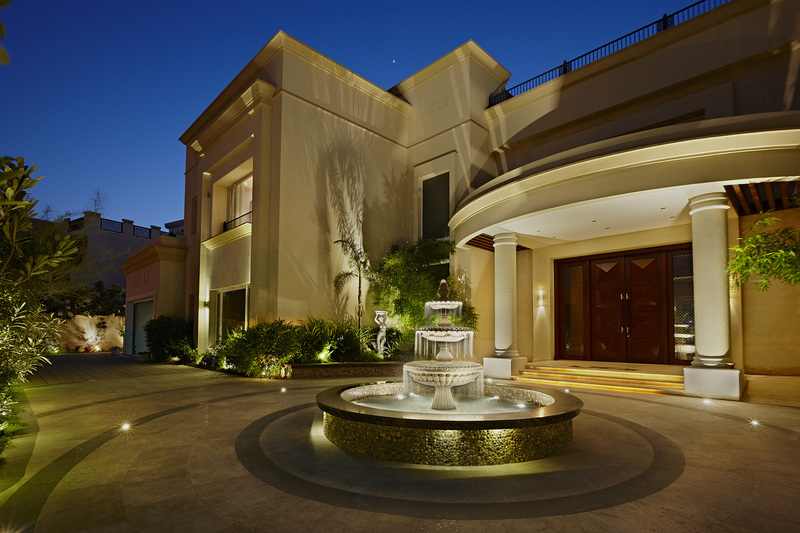 Sharukh Khan’s K-93 villa, located at the Al Khasab Cove of the Palm Jumeirah. Painted in a pristine, modern white the two-floor villa is spread over an expansive 8,500 sq. ft., this extraordinary villa is more aptly called a personal palace. Complete with a lush green garden, the exterior of their luxurious villa is open to visitors, the inside entry, featuring grand archways, is restricted. When spending time at their Dubai villa, the Khan family enjoys all the amenities of Jumeirah, to include access to water sports, a private beach, deep sea fishing and shopping. Bollywood power couple Aishwarya and Abhishek Bachchan own a glamorous villa in Sanctuary Falls, Jumeirah Golf Estates. With no expense spared, each villa in the community comes furnished with Scavolini designer Kitchen and Miele appliances, a family lounge equipped with a Bang & Olufsen Home entertainment system, and an advanced home automation system by Archimedia. 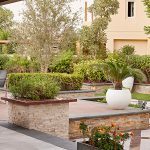 Priced between AED 15 to 35 million, each villa features a lush landscaped garden and resort style swimming pool. When they aren’t enjoying their dedicated concierge service, the Bachchan’s enjoy all the comforts and amenities of Sanctuary Falls. You don’t have to be a Bollywood star to turn your home into a luxurious villa to escape the hustle and bustle of life. At Milestone, designing houses and planning interiors is our speciality! We are experts at creating architecturally infused, stylish, and functional villa interior designs. 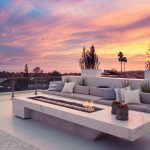 Whether you are planning a modern bathroom remodel, transforming your master bedroom or enhancing your dining area to entertain family and friends, our villa interior design team will bring a touch of modern beauty to your home décor. Perhaps you’re looking to elevate your backyard. 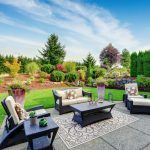 Our landscape design team can transform your backyard into a fun and exciting space to entertain family and friends. From outdoor kitchens and dining areas to pools, custom water features and pergolas, we can design a build the backyard of your dreams.